Genesis 11:1-9 — Now the whole world had one language and a common speech. As men moved eastward, they found a plain in Shinar and settled there. They said to each other, “Come, let us build ourselves a city, with a tower that reaches to the heavens, so that we may make a name for ourselves and not be scattered over the face of the whole earth.” But the Lord came down to see the city and the tower that the men were building. The Lord said, “If as one people speaking the same language they have begun to do this, then nothing they plan to do will be impossible for them. Come, let us go down and confuse their language so they will not understand each other.” So the Lord scattered them from there over all the earth, and they stopped building the city. That is why it was called Babel–because there the Lord confused the language of the whole world. From there the Lord scattered them over the face of the whole earth. The curse of Genesis 11 is reversed in Acts 2. Jerusalem in the first century was an international city, a crossroads at the center-point of three continents: Europe, Asia, and Africa. Merchants and traders were always passing through, and the city was always filled with a wide variety of people. It was also the center of Jewish life and worship. The Jews by this time had spread all over the world, but would often make pilgrimages, returning to the Holy City. One the day of Pentecost (Acts 2), there were people from all over the known world in Jerusalem– from Libya to Arabia, from Rome to Asia, from Egypt to Judea. None of them were worshiping in the temple with the Christians, but they all heard the sound like a violent wind. And “they were all utterly amazed, because each one heard them speaking in their own language.” “Are these not Galileans?” they asked, “So how is it that we all can understand whatever they are saying? 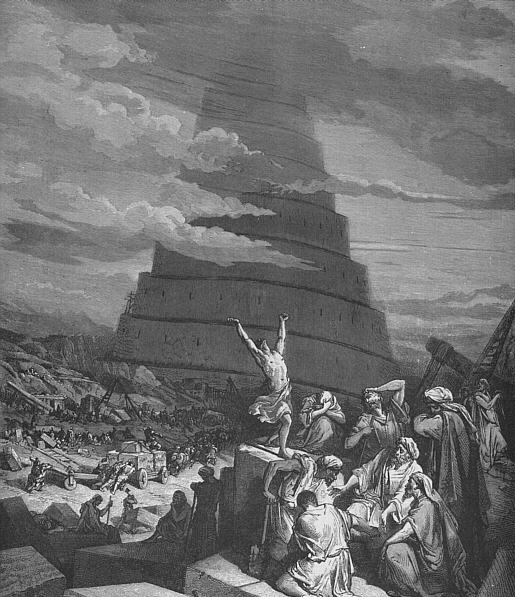 ‘ It was a complete reversal of what happened at the tower of Babel. That was only the beginning. What happened miraculously on Pentecost day became the task and the challenge of the Christian church ever since. Jesus had told his own disciples to go and make disciples of all nations, and Pentecost showed them how to do it. The great commission was to be fulfilled and obeyed by bringing to all people the Gospel in their own language. This has not been the emphasis in any of the other major religions of the world. For example, the holy book of Islam is the Koran, written in Arabic, the language of its author Mohammed. Muslims insist that the only way to really read the Koran is by learning Arabic and reading it in the original language. The Koran has been translated, and you can purchase an English version of it. But a serious Muslim would want to read it in Arabic. Christianity, on the other hand, has always endeavored to put the Scriptures into the language of the people. After all, Jesus himself spoke Aramaic, but the New Testament was written first in Greek, the most widely used language in the Roman Empire at the time. From the beginning, the church endeavored to speak in a language that could be easily understood. The miracle of Pentecost showed the way. The church lost its way on this for a while. In the middle ages, when the church had lost its way on so many things, it was even against the law to translate the Bible into the language of the people. Martin Luther was the first to do this for the Germans, and John Wycliffe was executed for trying to get the Bible into English. The Reformation changed things all over Europe, and eventually, the King of England himself ordered an official translation. That king was King James, and the translation he ordered became the King James version of 1611, the most widely used English translation for over 300 years. The great missionary movement of the 1700’s revitalized the original commitment to taking the Gospel to the ends of the earth. William Carey, a self-taught English shoemaker, has been called the father of modern missions. He went to India, a nation with hundreds of different languages, and spent his life learning the language and customs of the people. He taught himself 17 languages, and prepared dictionaries and translations of at least parts of the Bible into several of those languages. And he was only the first of thousands. Today, it is not uncommon for missionaries not yet 25 years old, to leave their homelands, and make their home with a small tribe in a remote area, on some forsaken river bank. There, they will stay their entire lives, learning the language, creating an alphabet, and then a dictionary; because many of these languages are not yet written. They then teach the people how to read and write their own language, and all the while, they are working on translating the Bible into that language. It is a lifetime task, and they will do this for a group of people of whom less than a thousand speak the language. It would be far easier to teach everyone English, but the commitment is to bring the Bible to the people in their language. There are hundreds, perhaps even thousands of missionaries engaged in this right now. The by-products of this work are the opportunities it brings for an overall education, increased medical care, and an entrance to the modern world. This too can bring its problems, but unless the newly converted have gone to a place like Harvard and have learned about how angry they should be about all this, they are happy to not be killing and eating each other anymore, as in some tribes, or, at the very least as in most others, no longer living their lives in constant fear and superstition and illness. 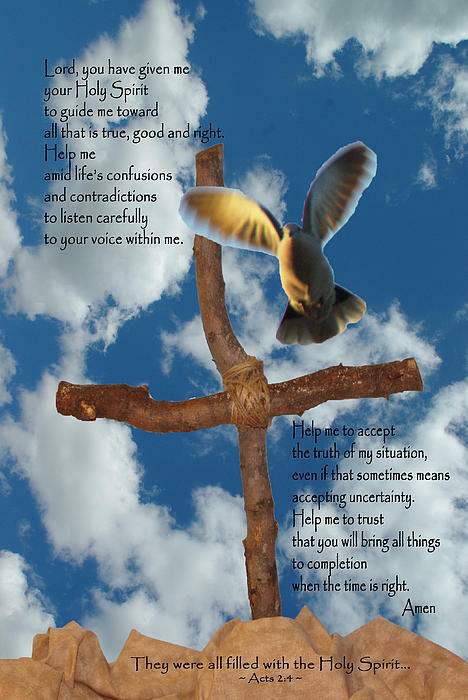 One of the gifts of the Holy Spirit on Pentecost is to bring understanding out of confusion. The spirit also brings community out of disunity. The church remains a human institution, and has failed over the years in many different ways, and it never perfectly fulfills the goodness that the Holy Spirit intends for it. But it has been God’s chosen method to do his work in the world through imperfect human beings, and much has been accomplished. The church that began with the outpouring of the Holy Spirit on that first Pentecost Sunday has blessed the world in countless ways. One can easily list the shortcomings of the church, but to list the blessings is to describe the progress of civilization since the first century, because the life and message of Jesus Christ has had its impact on every aspect of life. This entry was tagged pentecost. Bookmark the permalink.